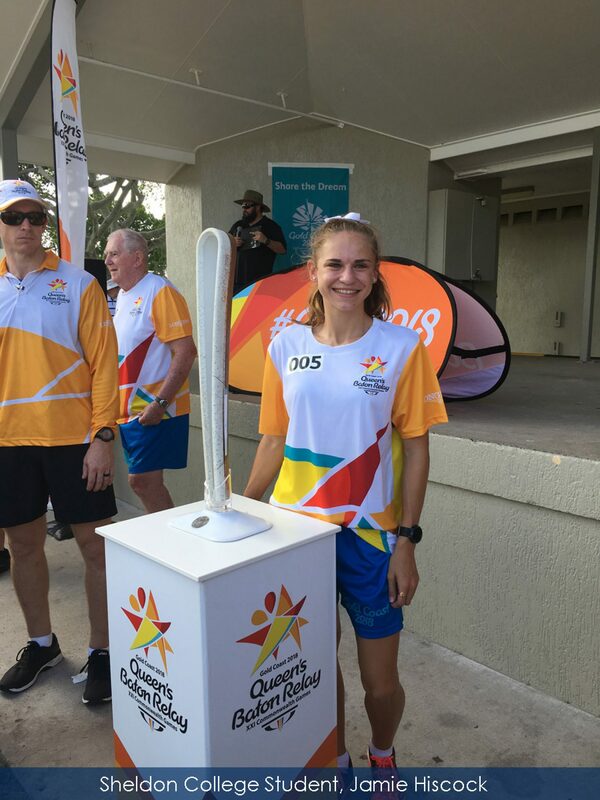 Accomplished athlete Jamie Hiscock and top tennis player Lara Walker have played their part in the Queen’s Baton Relay (QBR) as it journeys through Ipswich and Hervey Bay towards its final destination, the Gold Coast 2018 Commonwealth Games Opening Ceremony, taking place on 4 April 2018. The two highly awarded and accomplished sporting talents have been given the prestigious once-in-a-life time opportunity to be a part of the Queen’s Baton Relay. 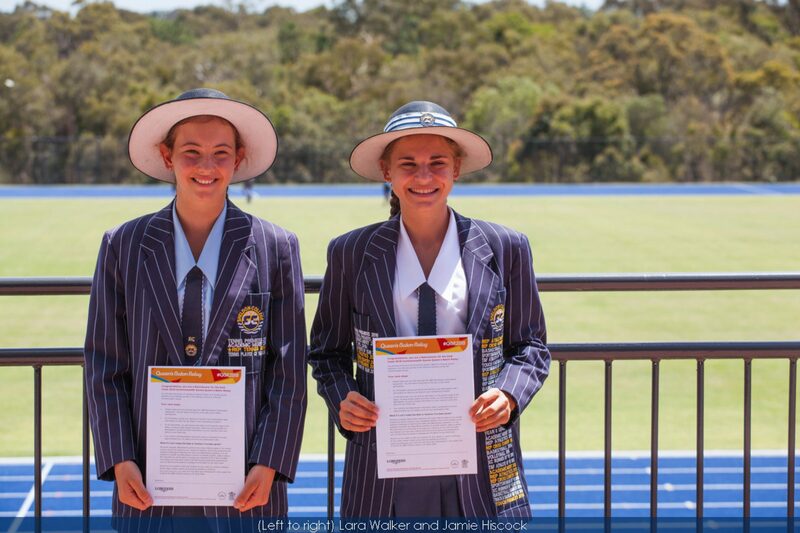 Year 12 student Jamie Hiscock and Year 9 student Lara Walker were thrilled to be selected and feel proud and excited to be given the opportunity to be a part of Commonwealth Games history. Jamie was selected as a Batonbearer in the Hervey Bay leg on March 25 at 12:11pm and said of the experience: "I feel extremely honoured to be chosen to participate in such a special and memorable occasion. I will cherish the memory for many years to come. This honestly is an experience of a lifetime. " In another remarkable achievement, Sheldon College graduate, Liam Hunter (2014 Alumni), will compete as a member of the Australian Commonwealth Games Swim Team. 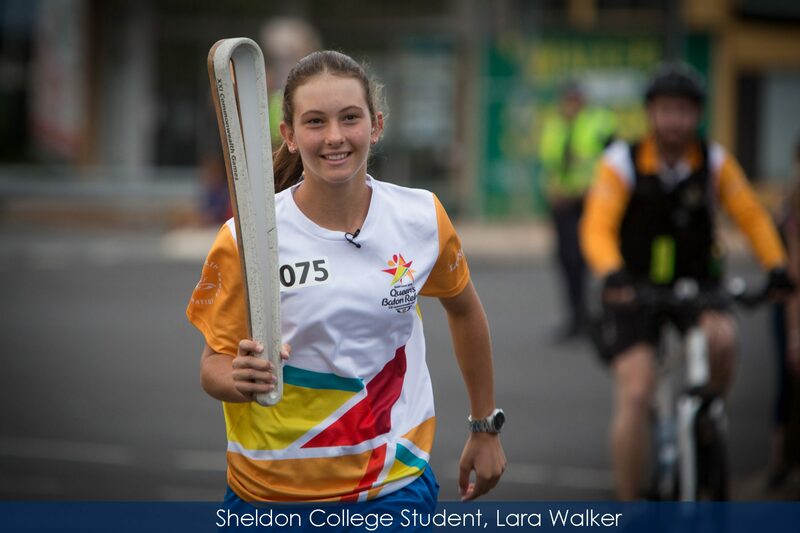 Family, friends, fellow students and staff of Sheldon College and community members are lining the streets to support Batonbearers and will be in force during the Games to cheer on Liam and other Australian athletes. 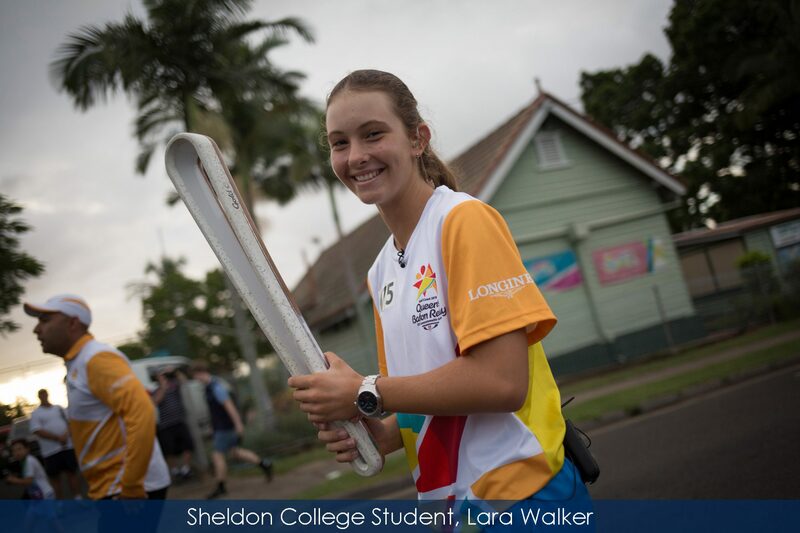 A rising talent, Lara Walker was nominated by Longines for the Queen’s Baton Relay and last year Lara represented Australia at the ITF World Junior Tennis Finals in the Czech Republic, where Australia reached the Quarter Finals. Previously, 12-year old Lara was selected in the All Australian Under 19 Secondary Schools Team. Following the QBR, Lara will go on to Florida, USA, invited by Tennis Australia to compete as a member of the National Academy Training Camp. 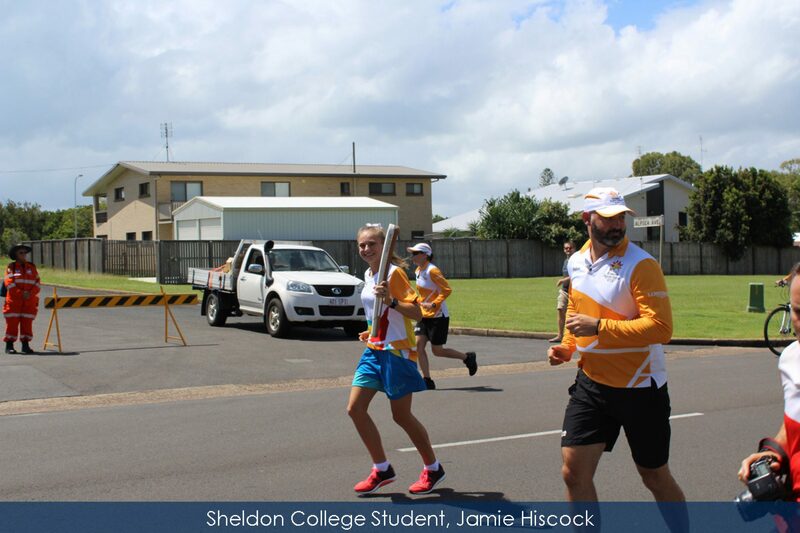 Jamie Hiscock was nominated by Sheldon College for the Queen’s Baton Relay and was recently named 2017 Sheldon College Secondary Sports Person of the Year. Jamie also won Gold in the Steeplechase and Bronze in the 1500m at the Athletics Australia National Championships in Sydney. Following the QBR, Jamie has been selected to represent Australia at the 2018 World School Cross Country Championships in Paris, France.